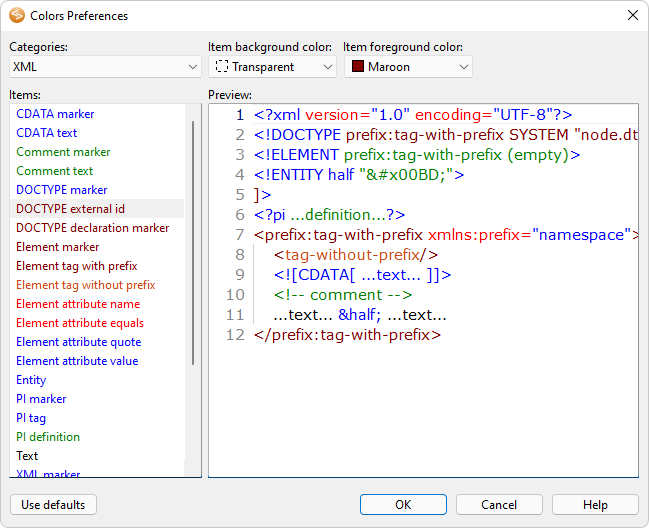 Click Options > Colors... to specify how the different items of your XML Documents appear in the XML Editor. You can specify foreground color and background colors for anything listed in the Items list box. The preview shows how your settings will appear in XMLBlueprint.